Former England captain Wayne Rooney has completed a move to MLS outfit DC United, ending his second spell with Everton after just one season. The 32-year-old forward has signed a three-and-a-half-year contract with United, ending his Premier League career with 208 top-flight goals to his name. I have the hunger to be a success here and will give DC 100 per cent - as I have always done for every team I have ever played for. He also netted a national team record 53 goals in 119 appearances for England, while also enjoying a lengthy trophy-laden stint with Manchester United, where he won the Premier League five times and the Champions League in 2008. However, Rooney says he is now ready for a new challenge and has promised to do all he can to make his time Stateside a success. He told his new club's official website: "Moving to America and MLS fulfils another career ambition for me. I have the hunger to be a success here and will give DC 100 per cent - as I have always done for every team I have ever played for." 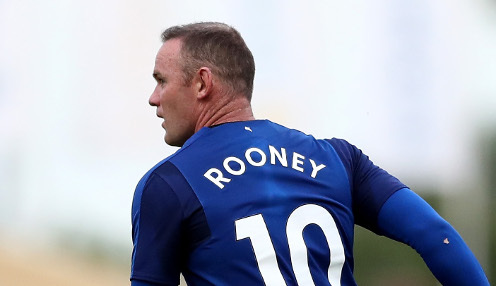 Meanwhile, DC United general manager Dave Kasper has backed Rooney to bring some much-needed leadership characteristics to his new team, as well as his undoubted quality. He added: "Wayne is undoubtedly one of the best players in Premier League history and his goalscoring record for club and country speaks for itself. "He is a world-class player and he elevates those around him, both through his work ethic and winning mentality." Meanwhile, Everton are 2000/1 to finish in the top six in the Premier League enxt seaosn, with Arsenal priced at 1/2000 and Leicester City 1000/1.